Complete our quick info form to get a quote, and see how much your cards are worth. You may be surprised! Did your grandmother or grandfather collect? Did you find your cards in an old matchbox or breaking down a wall demolishing a house? We would love to hear about your collection! Contact us now with a few photos and you are already halfway to cashing in on your collectibles! We have industry leading experts ready and waiting to make you a quality offer on your collection today. We can make offers via phone call, text, or email! Speak to an expert now to get the best offer for your collection! 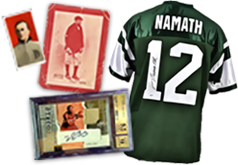 We have over 75 years of combined experience purchasing more than 10,000,000 sports cards, autographs, and memorabilia. 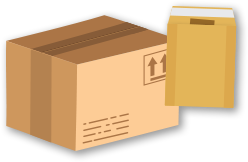 We have an insured shipping account with our shipping partner FedEx, print out a simple form and ship your collection to us free of charge! If you are local to Phoenix, Los Angeles, or the tri-state area we can meet you at one of our conveniently located warehouses. For large collections, we will travel anywhere in the world and make a cash offer on the spot. Payment is easy, if we meet in person you will be paid on the spot. When mailing us your collection, we ship payment to you within 1 business day of reviewing your shipment. 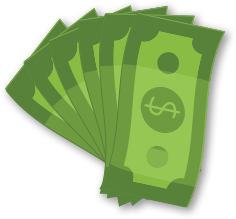 We offer payment in check, cash, bank wire, or Paypal. Don't see what you have on the this list? Contact us for a quote! Sean knows the value of cards & signed items. He was very easy to work with and paid much more money than any card shop would. Sean was great to work with and communicated very well. For me, selling some of my collection was very hard. When you are a passionate collector these cardboard gems are linked to your childhood. Sean offered a very fair price for my cards and payment was practically instant. I hope to do more business with Sean. You can’t go wrong working with Sean, truly A+! Sean was great to work with. Super cool & paid in cash. Will refer others. I first contacted Invest In Baseball via eBay to sell my collection. After a brief phone conversation with Sean, he gave me some shipping information. I shipped the cards and one week later I had a check for the full amount we discussed. This was a wonderful experience A++! I noticed a message board post in my area from a man looking to sell his inherited collection quick and easy, so I recommended Invest in Baseball as an option. 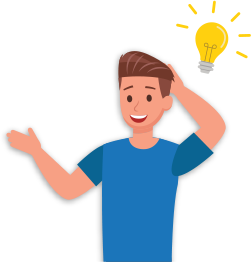 Sean and company impressed the seller with their thoroughness in explaining the process, paid for the shipping to the company, and then made a fair offer for the collection. I was pleased that the deal went through for both Invest In Baseball and the seller! I will recommend Sean to others looking to sell off or reduce their collections. Fill the form below and share your experience with Invest in Baseball with the world!